(English) Thanks to a clever blend of the best varieties of durum wheat, this product contains quality glutens. (English) The high quality protein fully develops the organoleptic qualities of the end product. 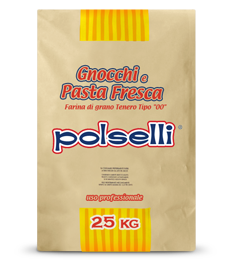 (English) This granulated flour is particularly suited to hand-made style cooking, especially fresh pasta.